Living in a large metropolitan area, it’s not uncommon for me to see toddlers playing with their parents’ phones and devices in public. Mom and Dad want to chat with their friends, try and relax, and have a semi-peaceful meal, so they just hand the child what they seem to be interested in anyway. Some parents seem disgusted at letting their children play with the devices at such a young age because there have been studies noting adverse affects in allowing young children significant periods of play-time with our devices. Dan Yang, optical engineer, entrepreneur of several cutting edge tech companies, and mother thinks differently. As a mother, Yang thought about how to best and responsibly have her child interact with her devices. Her solution was to invest $10 million of her own money towards the development of a tablet for children that was age appropriate in usability and one that was also educational. 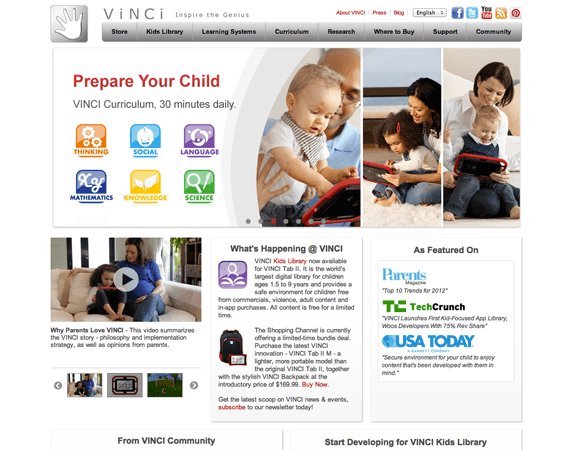 The tablet is called VINCI Genius Tablet and it won a 2012 National Parenting Council Award in addition to attracting the attention of the Jim Henson Company. 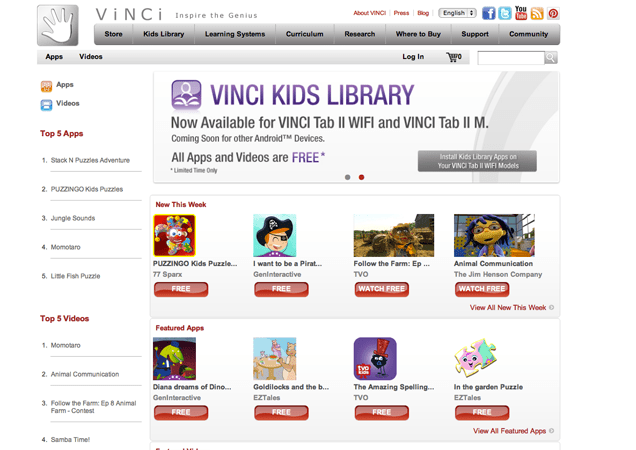 The Jim Henson Company is working on making science specific content for the tablet. Not without reservations about the concept, Yang wanted her young daughter to be able to interact with a device that was not only safe, but one which encouraged her to explore and actually use it in a productive way instead of just clicking buttons and menus. Yang’s direct knowledge of technology and smart-phone manufacturing led her to start Rullingnet Corp in order to make child friendly devices that encouraged healthy exploration and learning through technology. Yang was interested in helping educate a more well rounded child by the time they were to reach schooling. She collaborated with academic researchers and scientists in order to come up with a curriculum capable of delivering this task. She not only was able to accomplish this by creating lesson plans for babies, toddlers, and preschoolers, but she’s also been able to create child-safe electronics. Balancing work and personal life is something most entrepreneurs struggle with and only very few develop a system that works well for them. Some entrepreneurs even manage to work with loved ones, which of course more time with them. 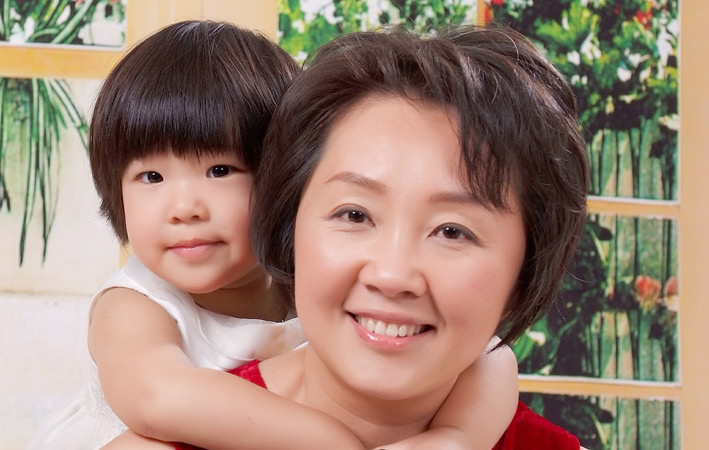 For Yang, it’s a positive situation because it’s a project that involves her family directly. 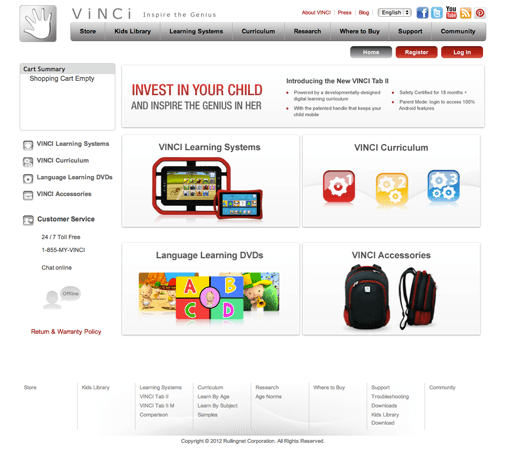 Watching her daughter grow and learn has provided Yang useful observation that she has incorporated into the Vinci Tablet and because of this, it’s a meaningful product.